In Ontario, Education Minister Lisa Thompson recently announced she will be consulting with education partners on the possibility of removing hard caps on class sizes. Kindergarten classes are capped at 29 and grades 1, 2 and 3 have a cap of 23 students. Regular caps could sometimes be higher due to children moving in and out of a class. There are many particular reasons why both teachers and students won't do as well with larger class sizes. For example, more children means less time for teachers to attend to the diverse needs of their students. But as early childhood professionals, we wish to point out what perhaps might seem obvious, yet somehow seems overlooked —increasing class sizes above these current numbers will have a detrimental effect on the relationships built between teachers and children, thus affecting children's learning and development. Let's talk about why secure relationships between teachers and young children matter. Humans are born with the ability and desire to connect, to learn and to grow. Babies begin to interact with others and the world in utero. They recognize their mother's voice, and may even play, pushing their feet, receiving tactile feedback from their mother pushing back. Babies are active participants in relationships as they instinctively make meaning and learn through observation of people and their environment. As young as one month, babies begin to imitate faces. This need for connection and the desire to know and learn doesn't end at infancy. The young child's brain continues developing during formative young years. There is a wealth of research demonstrating that children learn best in environments that don't focus solely on cognitive development. Rather, rich learning environments for children should also foster social-emotional development. Healthy development in childhood requires secure relationships between children and teachers—relationships that are positive, caring and respectful. Secure relationships are formed when teachers attend to the needs of the children by responding positively to children's cues and engaging in reciprocal interactions. Children are then liberated to feel safe and confident enough to explore the world, take risks, make mistakes and grow. Connection and teaching are inseparable for two main reasons. First, a child's secure relationship with teachers lays the foundation for children's capacity to learn. Second, secure relationships correlate with higher academic achievement, better self-regulation and increased social competence. Children who experience a secure, loving relationship with a family member may be less affected by secure relationships in the classroom because they have internalized the sense that the world is safe, trusting and that they are valuable. However, providing children with the experience of love, trust, emotional availability and connection in the classroom becomes more significant for children who do not have secure relationships at home —for example, those whose home lives could include circumstances such as grief or abuse. Increasing the number of children in a classroom is considerably concerning for such children. Let's take a walk down memory lane. Think as far back as you can, to when you were a child in elementary school. Do you have memories of a teacher who made you feel empowered, loved, confident and intelligent? You most likely felt this way because the teacher responded to your social, emotional and physical needs. He or she created an environment where you felt loved and safe enough to explore. This teacher believed in you, challenged you, and set attainable expectations for you. He or she got to know your abilities, strengths and needs and may have modified the curriculum accordingly. This confidence and support you received from the teacher increased your self-esteem and courage to explore. Secure relationships are formed when children feel as though their ideas and opinions are valued. Children feel safe to express their feelings and subsequently learn to respect and listen to others. Teachers create a welcoming learning environment that fosters all children's abilities and strengths. When teachers recognize children's uniqueness and individuality, they support a sense of belonging. This supports children in expressing feelings, recognizing others' feelings and perspectives, feeling empathy and emotional regulation. 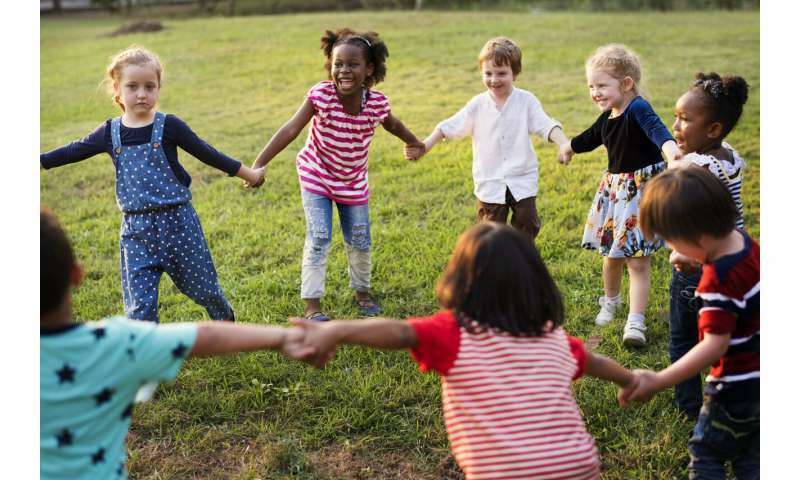 When children have the confidence that their own capabilities and characteristics are valued, they learn to socialize well with others, to negotiate, collaborate and communicate. Such habits contribute to their life-long learning. Supportive relationships with teachers begin when teachers are approachable and children know that they can confide in them. When teachers listen and are available, children learn to ask for help and rely on people. This experience is important to carry throughout life. Providing the child with the experience of being available, understanding and seeing them for who they are allows the child to trust the teacher and want to live up to their expectations. This scaffolding or encouraging the child to learn or push themselves past their own expectations or beliefs in what they are capable of is important for growth, development and building resilience.